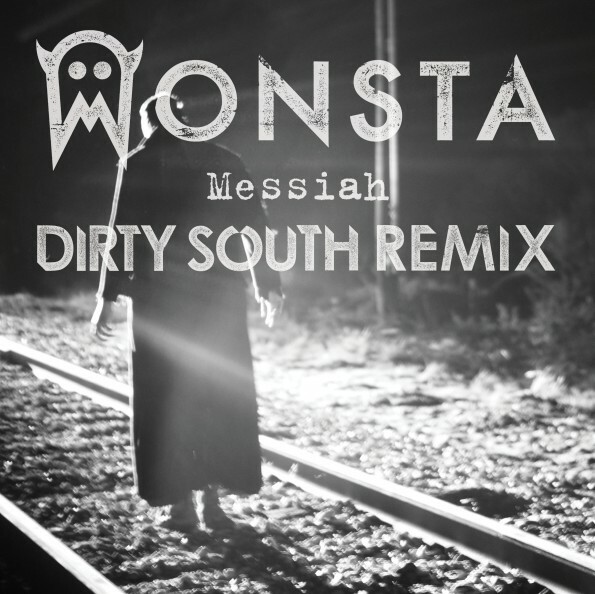 Today we're excited to premiere Dirty South's remix of Monsta's "Messiah". The progressive house legend builds a massive upbeat banger centered around vocalist Skaar's soulful hook. The remix is a match made in heaven: Skaar has that almost 90s, uplifting house diva feel to his voice and it's really brought out perfectly with Dirty South's similarly classic production. Intense organ laced buildups give out to massive drops, while a short pulsing riff builds and falls throughout the track providing the progressive groove and that classic feel reminiscent of one of my favourite songs of all time Tangerine Dream's Love On A Real Train. Monsta is enjoying a meteoric rise to fame after being picked up by Skrillex's label OWSLA this summer. "I was at South by Southwest with my manager Tim [Smith] and a few friends," says Skrillex in a recent Billboard magazine article on their first EP. "Tim says, 'I got something,' and pulls up [MONSTA's ‘Holdin' On’]. I said, 'That's a sick track and a cool vocal sample. Where'd they get that from? Is that Aretha Franklin? '’ You can't help but sympathize with Skrillex's mistake… Skaar's voice is both powerful and androgynous, giving it a depth of complexity you don't hear too often in today's EDM world. With the OWSLA placement came massive remixes from a who's who of industry heavyweights: Dillon Francis, Alvin Risk, Skrillex and now Grammy nominated Dirty South have all taken their turn with the enimatic singer's voice and the sounds of Monsta producers Rocky and Rufio. MONSTA is all set to release the Messiah EP via iTunes May 7 on OWSLA/Interscope Recordss. So in the lead-up to the EP here is the premiere of Dirty South's remix… Enjoy!